Open Workouts give players an opportunity to work with other local players in a competitive, learning-based environment. In all of our sessions, players don’t practice to avoid mistakes, they practice to enhance possibilities. For most players, solely playing 5 v 5 will not expose them to enough repetitions in a game context to allow significant improvement over time. On the flip side, only training 1 v 0 will not create a context that is conducive for player improvement in games. 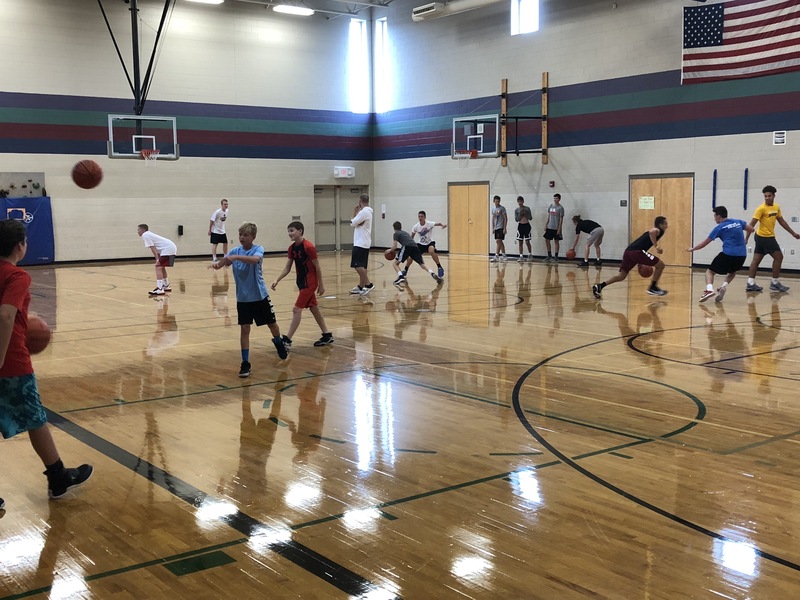 Each open workout features pieces of our individual skills curriculum, team concept breakdowns, along with small-sided games. Players will learn more efficient, smarter ways to work out individually in addition to receiving necessary repetitions in a context that resembles live game play. Open workouts are broken into seasons and are held at varying locations across SE Wisconsin. The number of sessions offered per week will vary based on the season. Groups are broken down by age and ability and have a cap on each session to maximize the individual attention that each player receives. Visit here to view our open workout schedule and to register for current sessions. Over the past eight years, Taylor has guided me from a role player on a 5th grade school team to a Division 1 player. His workouts have a competitive atmosphere, and his drills provide you an opportunity to challenge yourself and others. He has helped many kids including myself begin to maximize their basketball potential. Taylor gives you the necessary tools it takes to excel at every level of basketball. It has been a blessing having Taylor coach me the last five years. Every time we get in the gym I know that he is prepared and will give me and the other players his all in helping us improve. Off the court, I have been fortunate to have a role model like him in my life. He is the embodiment of giving 100% effort no matter the circumstances. Going to workout with Taylor is always exciting because I know it’s going to be the best workout I can get. He does a great job of teaching advanced concepts through various competitive drills, which over the years has really helped me gain an edge. If you have further questions, comments, or concerns, please contact the coaching staff by completing and submitting the form.